Thank you for your interest in our Journal. This site is the online home of the print Journal, which is available for purchase both online and in select stores. We trust that you will find our offering as valuable to current and future discussions on holistic studies as we do. "The JOURNAL OF HOLISTIC PSYCHOLOGY Vol.2, a collection of brilliant essays by leading practitioners, is a powerful manifesto of the emerging change in our understanding of consciousness itself." 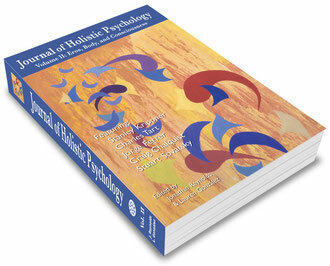 "This journal is holistic in both content and form. Not bound by one mainstream school, the articles range over a wide variety of topics and approaches. Leading scholars, therapists, and researchers have written succinct but moving accounts of their work." "I greatly appreciate Jonathan Reynolds and Lauren González’s new journal offering, the Journal of Holistic Psychology, which provides fertile ground for the many who are giving voice to the emerging field of East-West psychology..."